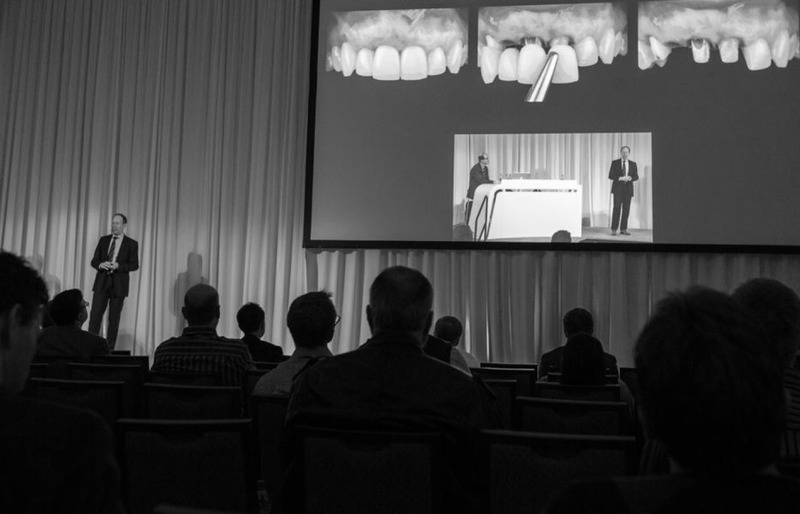 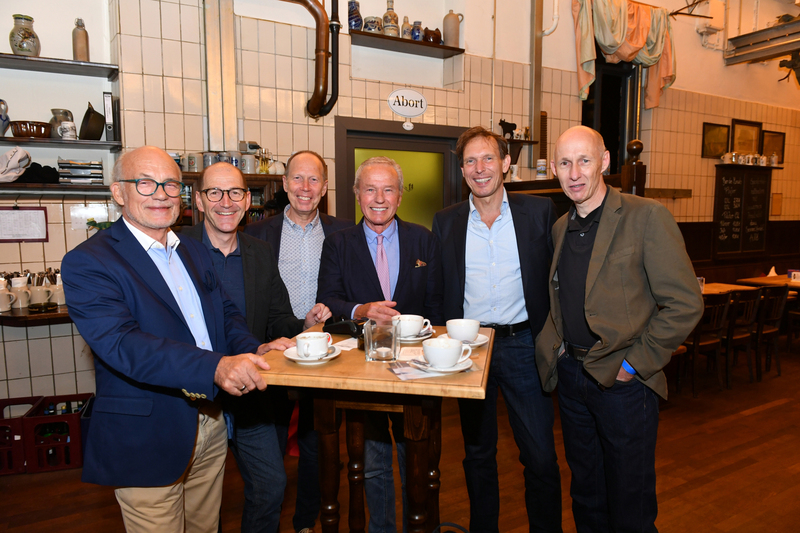 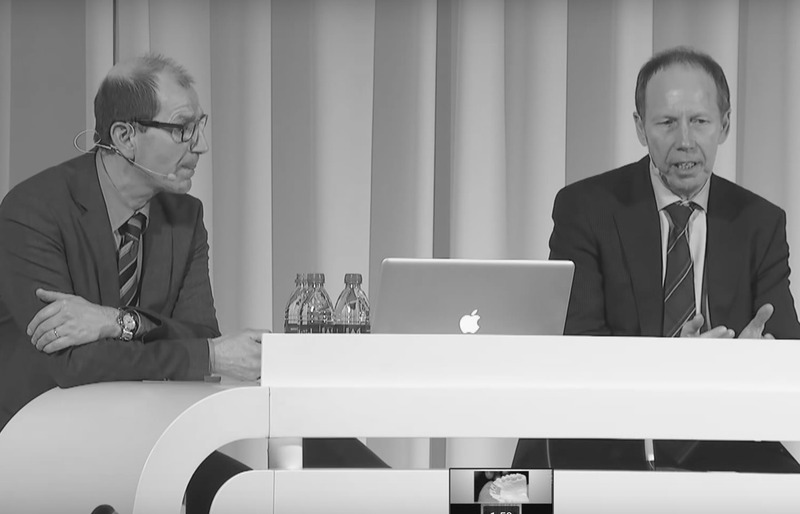 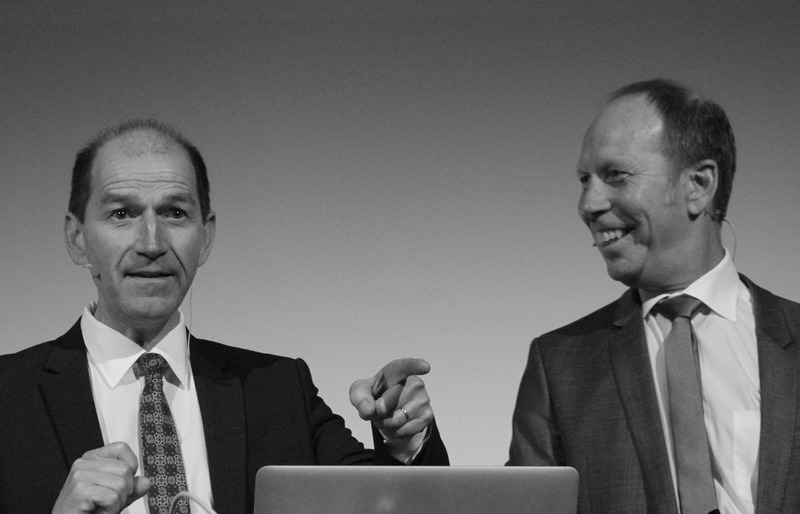 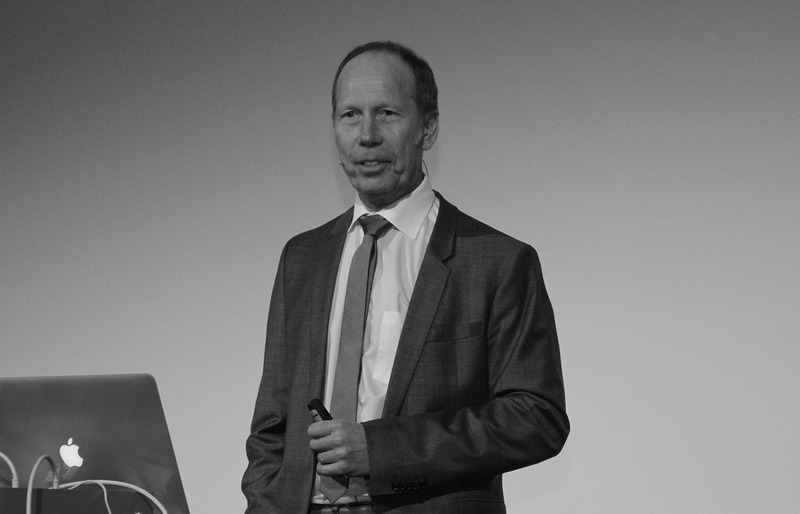 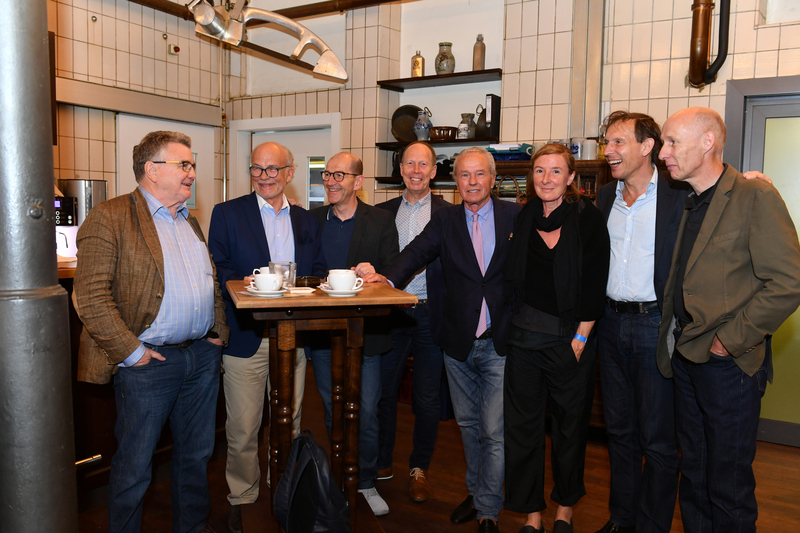 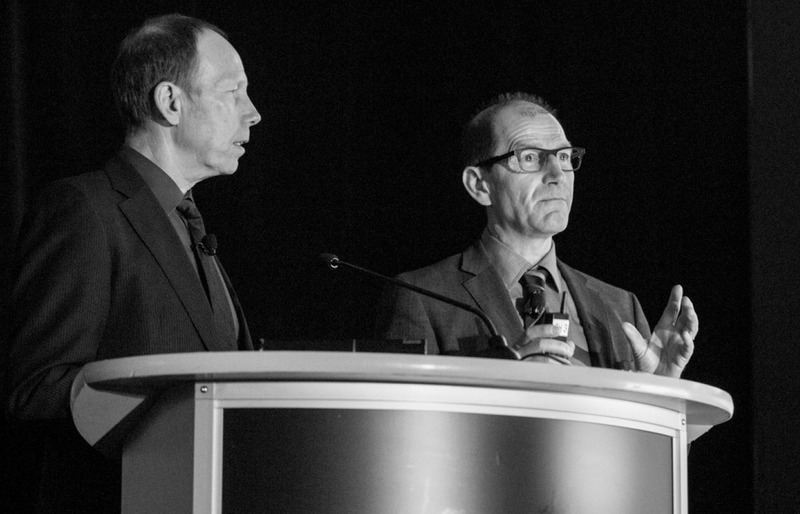 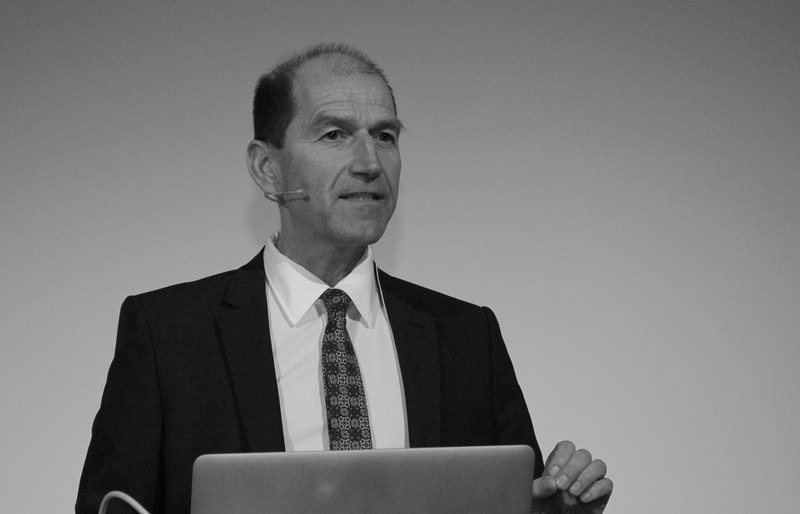 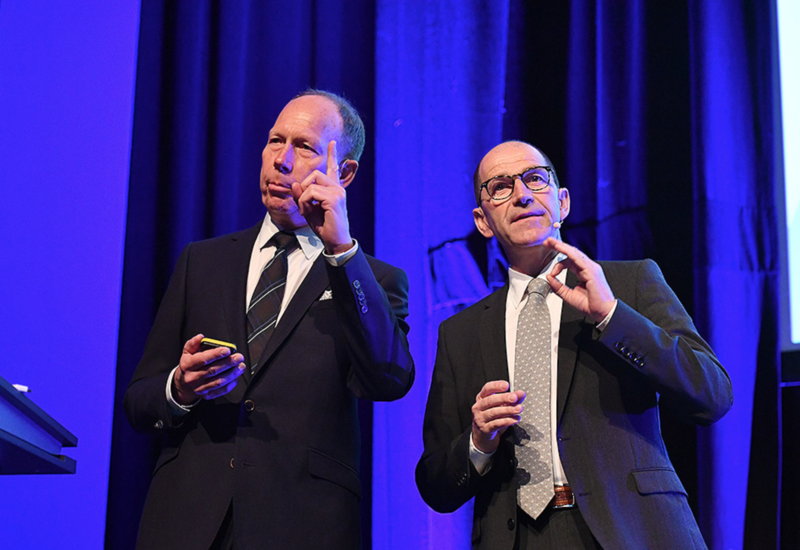 All around the world, Patrick and Luc Rutten are much sought after speakers, sharing their insights and expertise on subjects such as the realization of implant aesthetics and metal-free restorations. 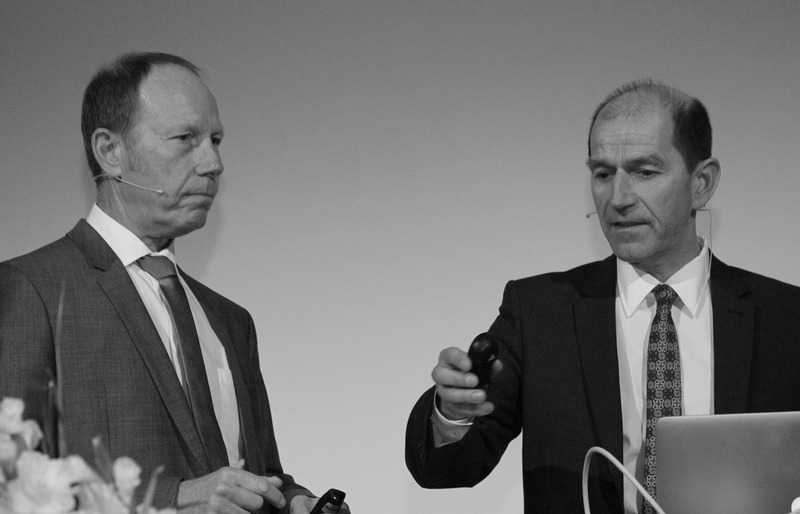 You can find an overview of their lectures here. 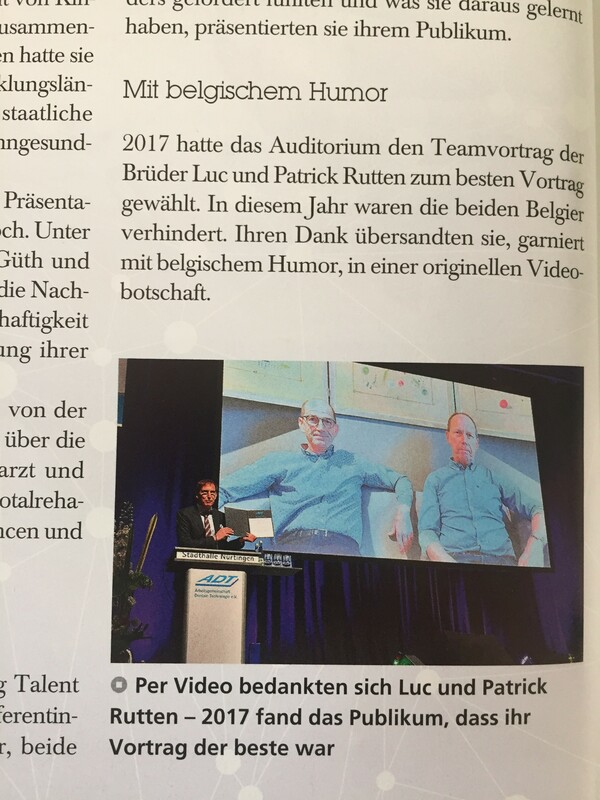 ADT congress NürtingenBest lecture Award 2017We are very honored to receive the “Best Lecture Award 2017” at the ADT congress in Nürtingen/Germany. 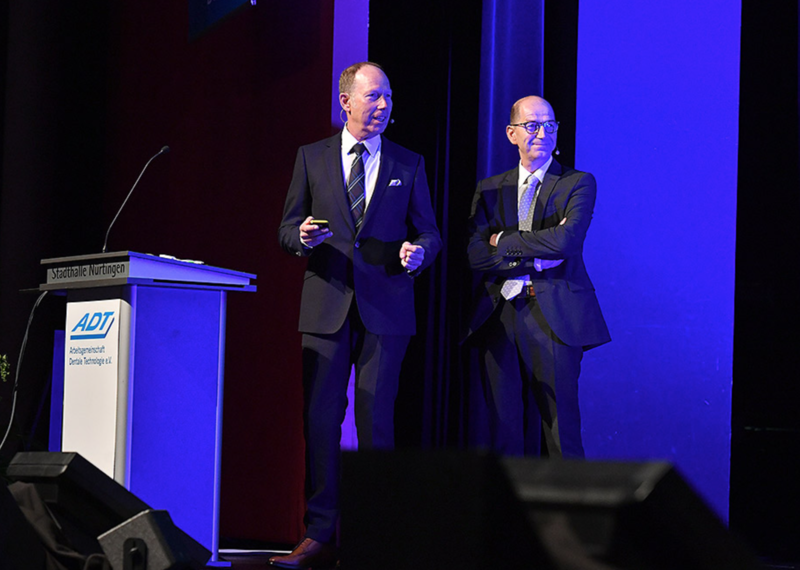 Special thanks to Prof. Dr. Daniel Edelhoff and MDT Wolfgang Weisser for the invitation to lecture at the prestigious ADT congress. 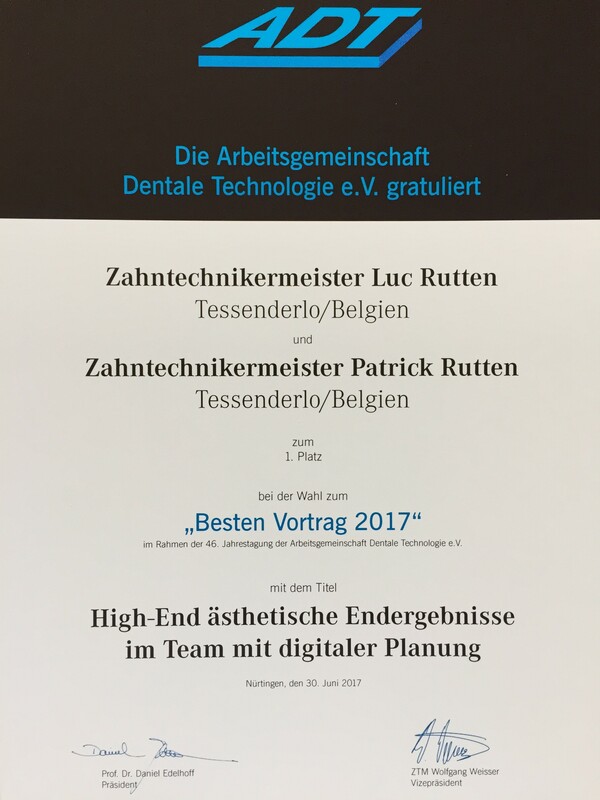 The presentation of the Belgian brothers Luc and Patrick Rutten was voted by the audience as best lecture at the ATD congress in Nürtingen/ Germany.At the 46st congress of the “Arbeitsgemeinschaft Dental Technologie e.V.” of 15-17 June 2017, presited by Prof. Dr. Daniel Edelhoff and MDT Wolfgang Weisser, our lecture was voted the best of 2017 out of 30 speakers by more than 1.000 participants. 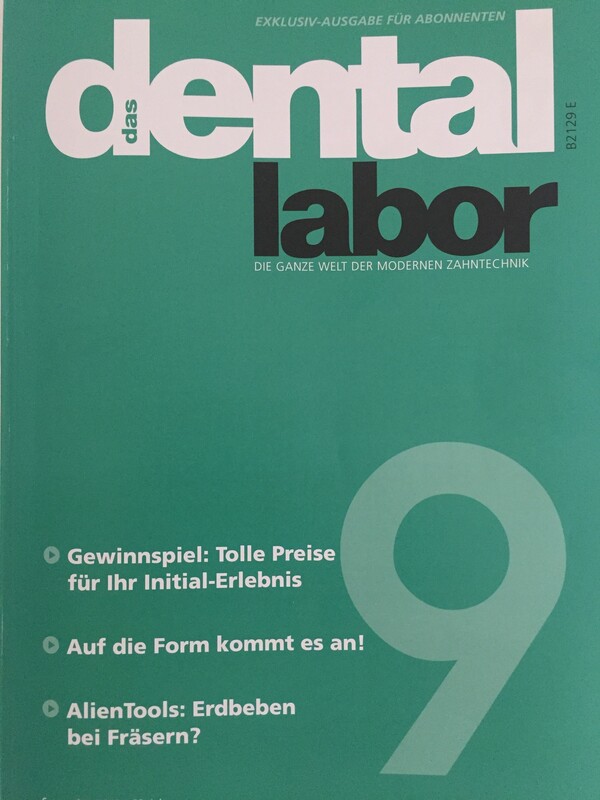 Attached are PDF’s (in German) with a detailed report of “Das Dental Labor” LXV of October 2017, 36-44 and “Die Quintessenz der Zahntechnik” 2017;43(8):1-15. 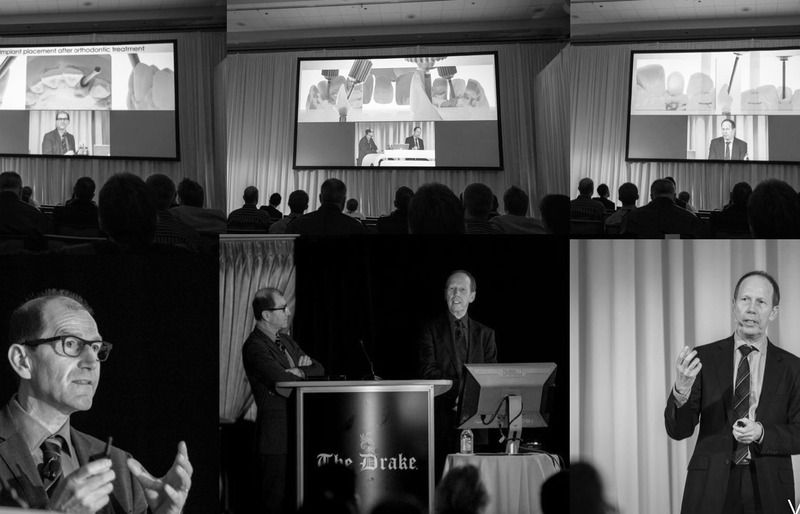 Outside Europe Luc and Patrick Rutten lectured in Australia, China, Colombia, India, Japan, Mexico, Morocco, New Zealand, Russia (including Asian part), Saudi Arabia, Turkey, USA and South Africa.